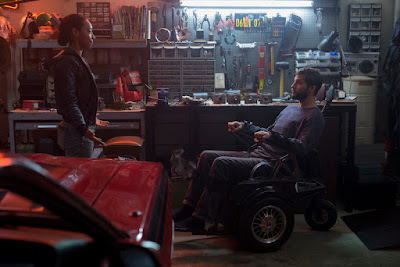 Upgrade has been one of my most anticipated films of the summer for a while now, ever since its brilliant redband trailer dropped online. It promised us a high stakes adrenaline rush paired with brutal, bloody action. It looked absolutely fantastic, with Logan Marshall-Green (Prometheus) in the leading role. And considering it was being produced by Blumhouse (Split, Get Out), it seemed like we were going to be in for quite a treat. And the reviews for it have been excellent. I have read nothing but raving recommendations for Upgrade, claiming it to be a new visionary science fiction film. All of this culminated in me being incredibly excited to see this movie. It takes place in the near future, where Grey (Marshall-Green), an auto mechanic, is paralyzed when a group of thugs attack him and murder his wife. In order to walk again, an experimental piece of technology called STEM is fused with his body, but with this comes the ability to track down and kill the ones who took his wife from him. I went in with very high expectations, and I left disappointed. Upgrade as a concept is brilliant. It has all the makings for an awesome movie. But an underwhelming script and a poor leading actor keeps the movie from hitting its mark. 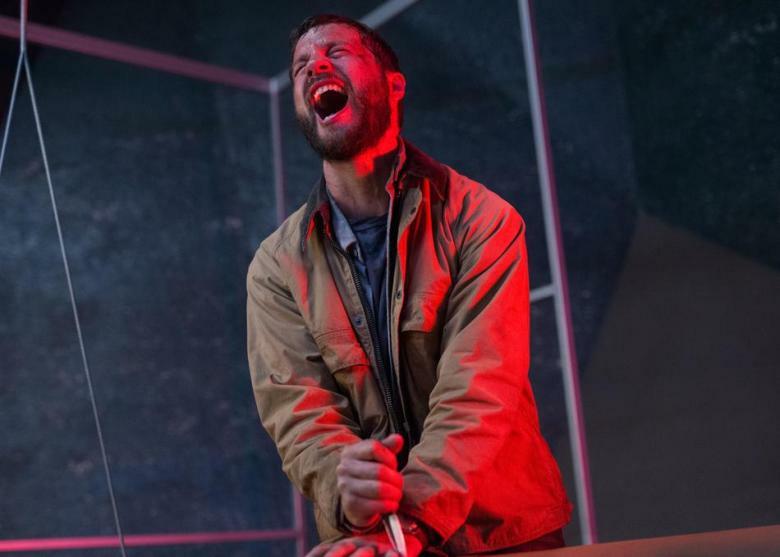 Upgrade is a perfect case for the importance of execution. The idea behind this movie is excellent. There is so much potential within the world that the film creates. It immediately establishes a gritty, Blade Runner-esque feel, and it opens itself up for so many possibilities. But it all comes down to the execution, and the execution just falls flat. While the story is great, the script is rather weak. The characterizations of Grey and Asha (Melanie Vallejo) are dull, and no real substance is given to either their characters, or their relationship. I don't feel anything for them as a couple, so I subsequently don't really feel anything when she dies. That's not a spoiler; it's in the very beginning of the movie, and it sets up the entire story. None of the supporting characters are really well realized either, and they all feel pretty one-note. Some of the dialogue is also horrendous. Grey has these one-liners throughout the action sequences, and they are incredibly annoying. Logan Marshall-Green also delivers them terribly. 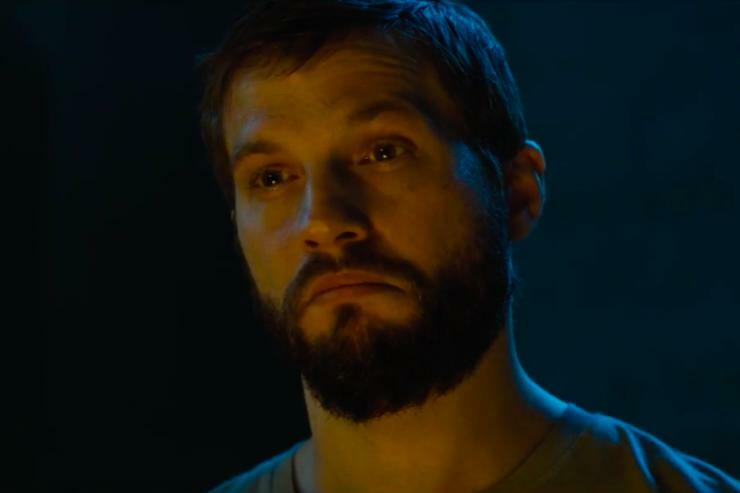 I am reading a lot of people praising his performance in Upgrade, and I don't know why. His physical performance is really good, but when it comes to the dramatic parts he cracks. I don't think he is ready to lead a movie yet, because he just can't carry Upgrade. I don't think it's out of the question later on down the line, but right now he just isn't capable enough. Between the cheesy one-liners written for him and how he delivered them, Marshall-Green brings down the movie, and it highlights this film's two biggest weaknesses: the screenplay and the performances. The movie certainly has some good qualities. Like I said before, the world they create is visceral and gritty. It's not what I was expecting, as none of the trailers let on that the film takes place in the future, but it is interesting nonetheless. It's well realized, and I found they did a good job with this aspect of the movie. The action sequences are all really good too. They make great use of the fact that Grey is being operated by STEM, and Marshall-Green does an excellent job capitalizing on the physicality of the role in these sequences. The action would have made the movie had the screenwriters not felt the need to forcibly interject Grey's terrible one-liners into these scenes. But the action is brutal and gory, and it works for this kind of story. The ending for the movie is also really good. It goes in a different direction than I was expecting, and it feels original. It hearkens back to the really strong concept it began with, and the execution of the ending actually works. 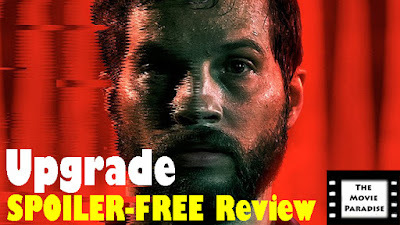 Overall, Upgrade has all the makings for a really good movie. It's a fantastic concept, with a dark and gritty futuristic world established from the get-go. But a sloppy script and weak performances, all under the supervision of a meager director, lead to the execution of a great idea being fumbled. While the action sequences are really cool and well done, they are almost ruined by terrible one-liners delivered horrendously by Logan Marshall-Green, who is just not ready to lead his own movie yet. I was really looking forward to Upgrade, and I left the theater rather disappointed. Everyone else is raving about this movie, so go see it and hopefully you will like it. But I personally don't see what everyone else sees in it. What do you think? Have you seen Upgrade? If not, are you planning on seeing it? Leave your (spoiler-free) thoughts in the comments section below.